Amy Weintraub, MFA, E-RYT 500, is the founding director of the LifeForce Yoga Healing Institute and has been a pioneer in the field of yoga and mental health for over 20 years. She is the author of Yoga for Depression (Broadway Books) and Yoga Skills for Therapists: Effective Practices for Mood Management (W.W. Norton, 2012). She offers professional trainings and workshops for mental health and yoga professionals and speaks at medical and psychological conferences internationally. She is involved in on-going research on the effects of Yoga on mood. Amy’s evidence-based LifeForce Yoga protocol is in use in health care settings worldwide and is featured on the award-winning CD and the DVD series LifeForce Yoga to Beat the Blues. She edits a newsletter that includes current research, news and media reviews on Yoga and mental health, archived on www.yogafordepression.com. Amy’s recovery from depression began more than twenty years ago on her yoga mat. Joy continues to unfold through the compassionate self-awareness that is the foundation of her Yoga practice and her teaching style. LifeForce Yoga is a practice of compassion that creates a big enough container to embrace and accept all the dualities of mood. The practice is adapted to the student, so each individual can move into a balanced emotional, mental, and physical state of equanimity and self-awareness. LifeForce Yoga complements the Breath-Body-Mind Training program. Drs. 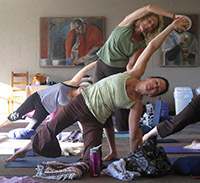 Brown and Gerbarg are on the faculty of the LifeForce Yoga Practitioner Training at Kripalu Center. 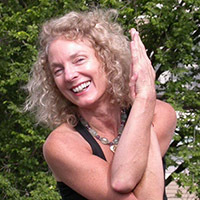 Joy Bennett, Mentoring Director for LifeForce Yoga is on the faculty of Breath-Body-Mind Teacher Training. LifeForce Yoga is intentionally designed to work with and manage mood. The practices support students in self-regulation and many of the yoga techniques can be done in a chair, in bed, and do not require a yoga mat. LifeForce Yoga interweaves the power of an ancient discipline with current scientific findings to help you release what is no longer serving you—without a story attached! No matter your lineage or the yoga “style” in which you practice, LifeForce Yoga can offer you strategies to enhance your mood without changing your basic practice. The daily practice of LifeForce Yoga will diminish your sense of separation, which is the literal source of depression. The connection you feel to that which is most authentic within you and your connection to others will be enhanced.